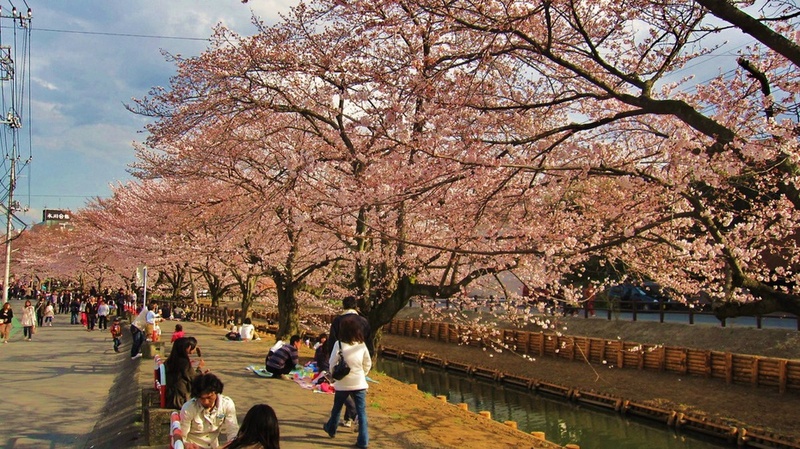 Located in Saitama prefecture, it’s not that far away from Tokyo. 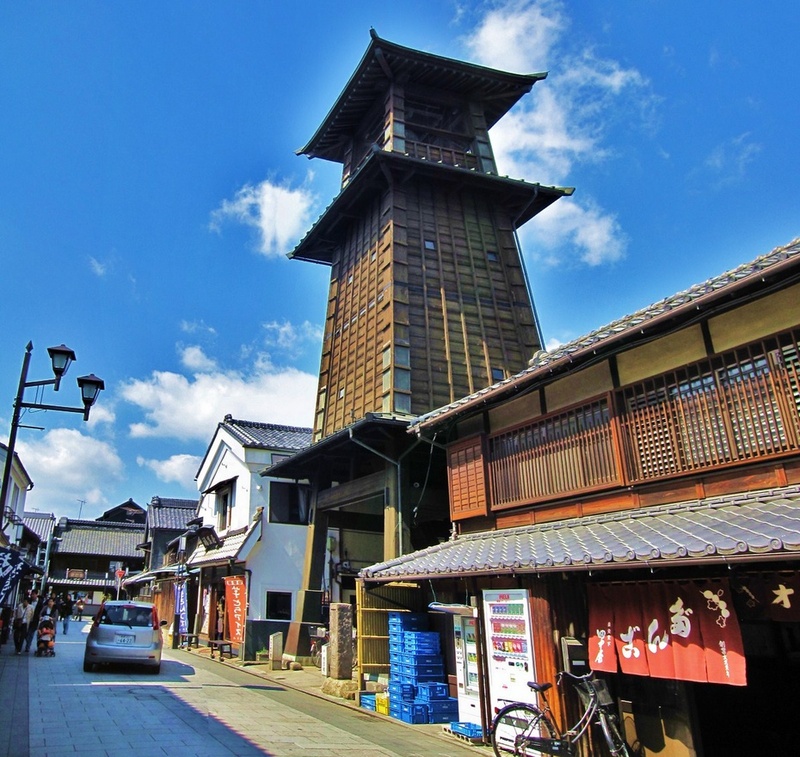 Kawagoe is famous for it’s Koedo tourist attraction [link], which features traditional structures and shops dated back Edo era (before Meiji era). 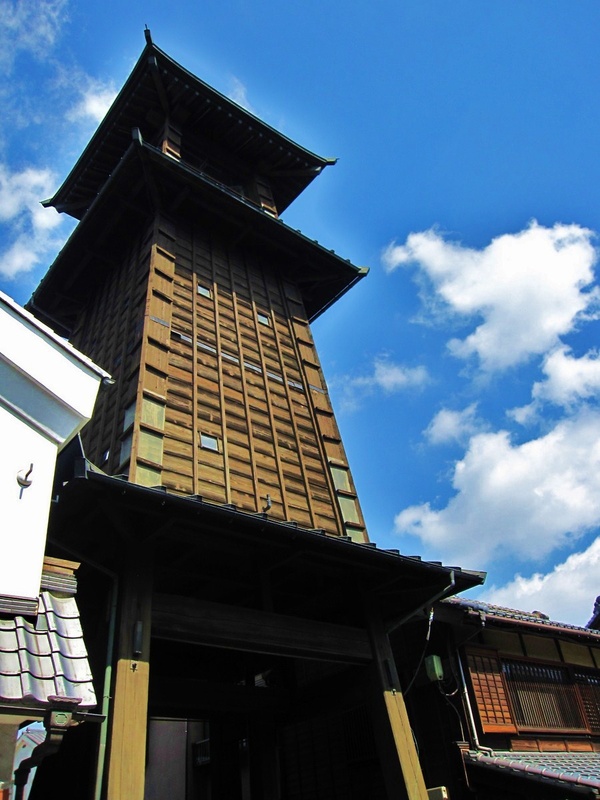 The clocktower (時の鐘) is the famous symbol of Kawagoe. Was built few hundred years ago if not mistaken. It had been destroyed by fires though. Icy and rather quiet main street during early March. Snow fall the day earlier. 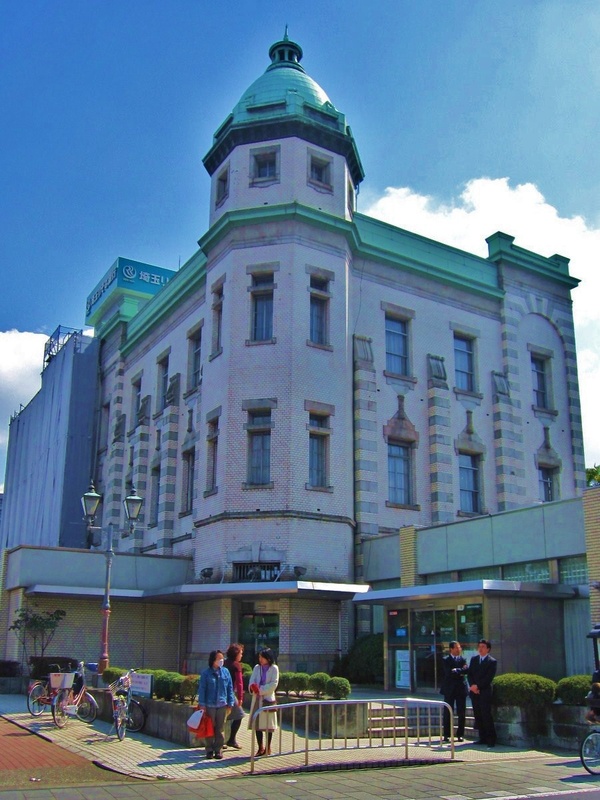 Resona Bank, Kawagoe Koedo branch. 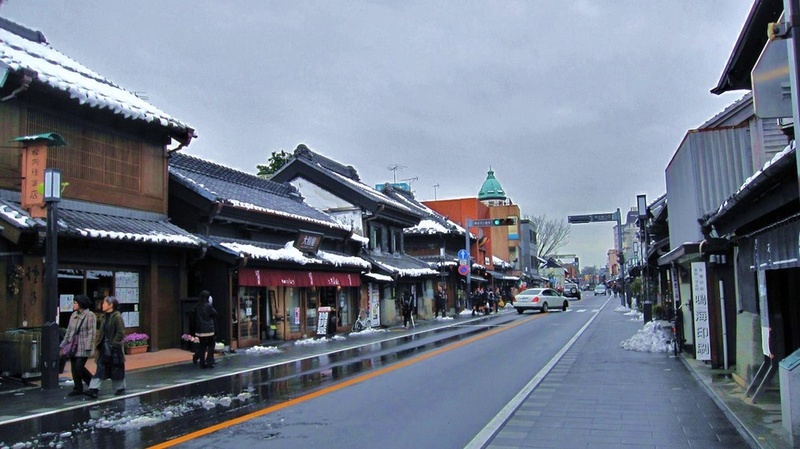 The Koedo streets are filled with visitors during fine weathers such as this. 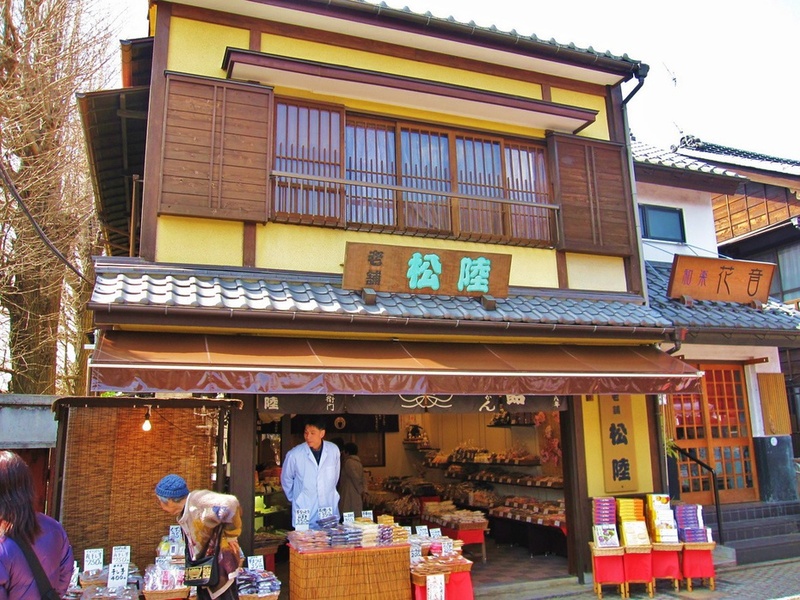 Kameya (亀屋) is where you can get souvenirs (お土産) back for your folks and friends along the main street. 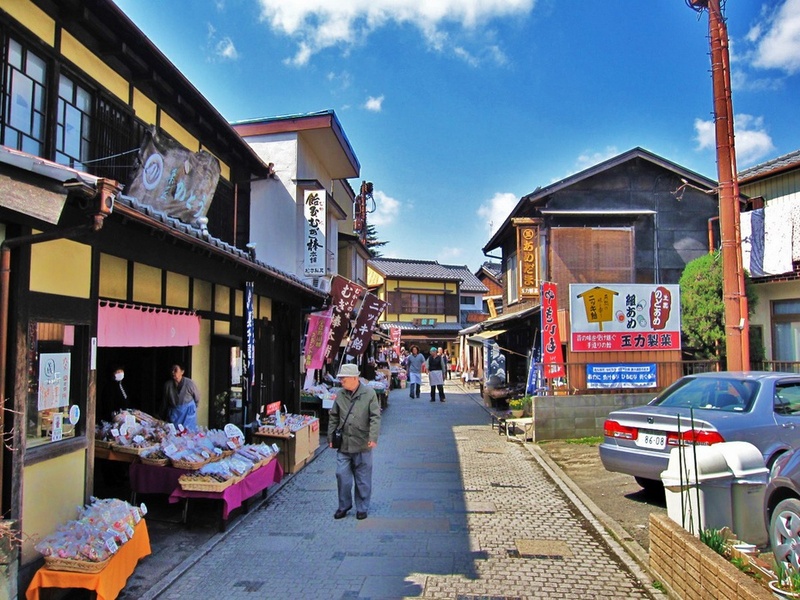 Some said walking down the streets of Koedo reminded them of Kyoto. I’m not sure about this saying because I haven’t been to Kyoto before. 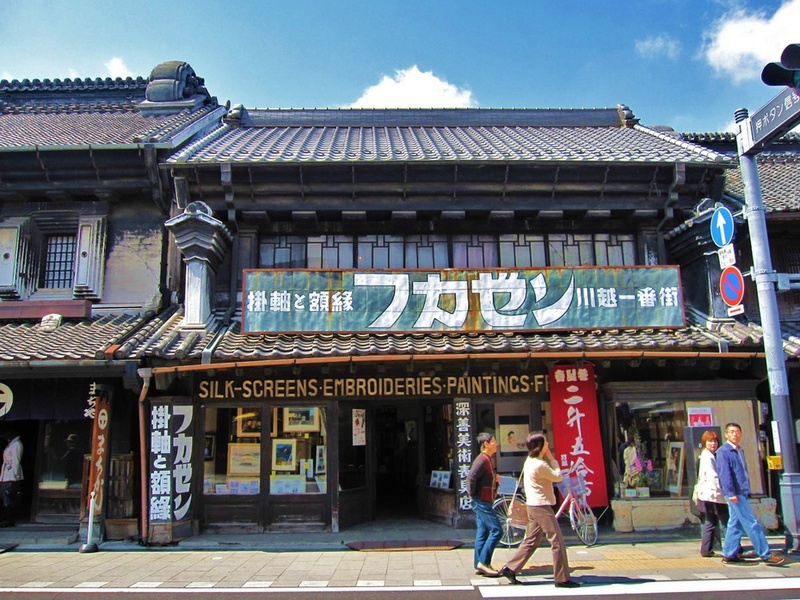 It’s said that while structures in Tokyo were damaged due to disasters and WWII, those in Kawagoe were preserved and still standing strong until today. 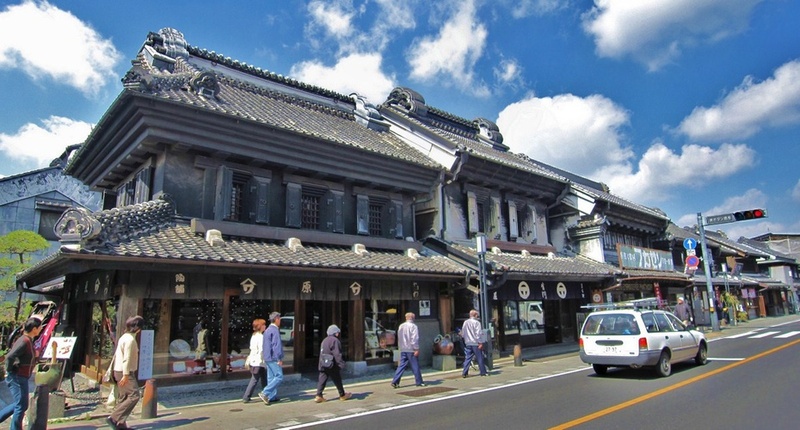 Kawagoe Matsuri Hall. Need to pay a entry fee to get a peak into the museum. 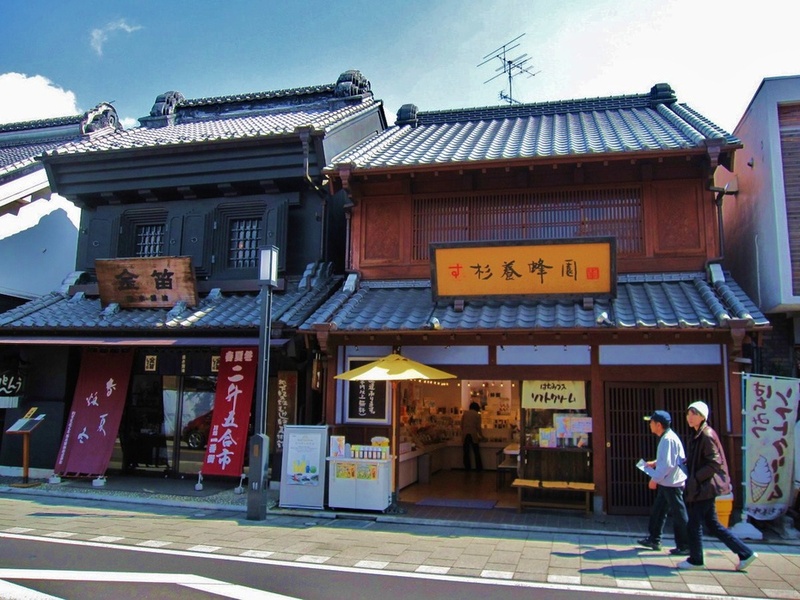 Another popular spot in Koedo would be the Okashiya Yokocho (菓子屋横丁), where they sell traditional snacks and sweets. 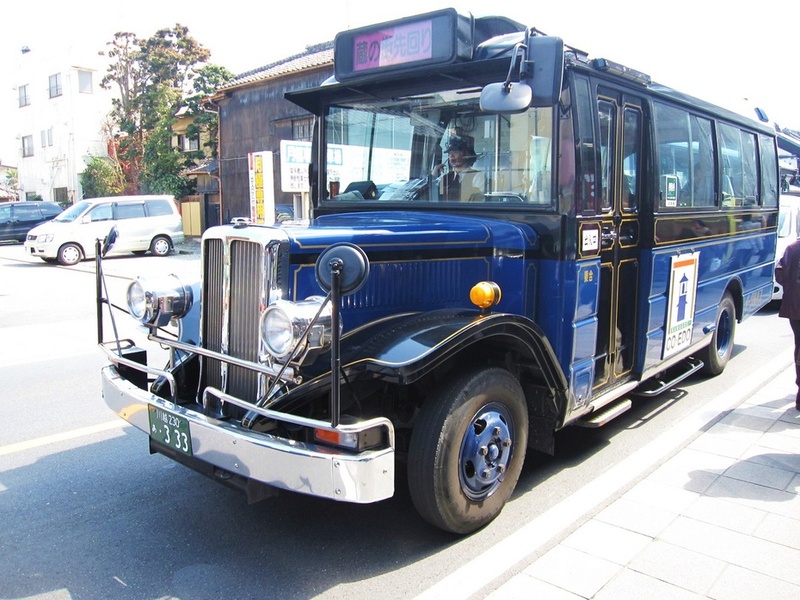 This is the bus that travels around the tourist spots in Kawagoe. 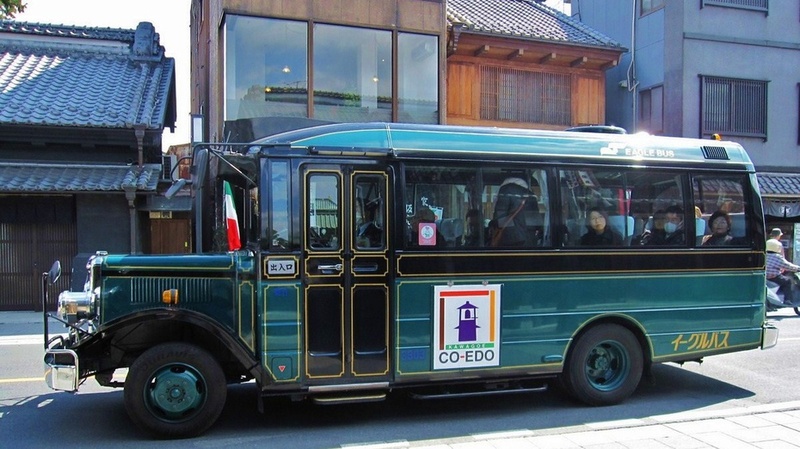 If not mistaken the ticket cost 500 yen which you can ride on it unlimited for the day. Alternatively, there’s the 180 yen ticket for single ride. 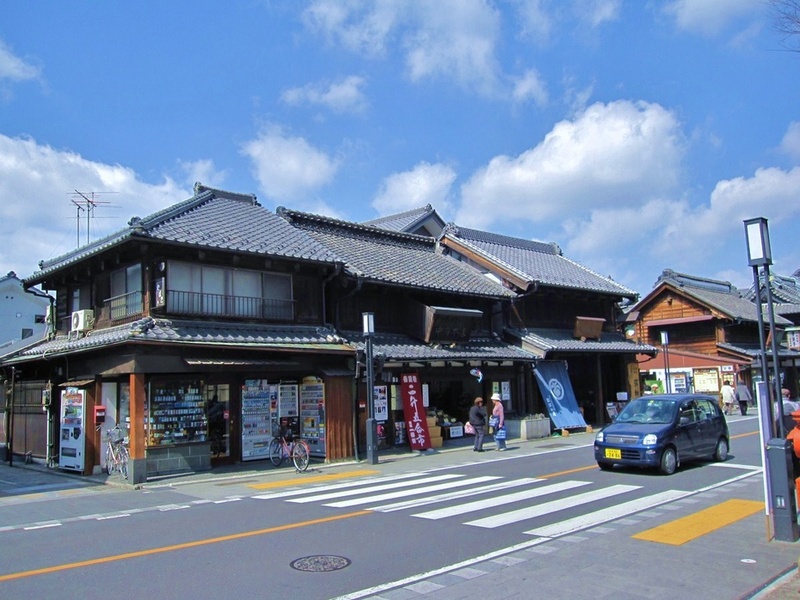 The bus stops at most attractions and also at the train stations (Kawagoe and Hon-Kawagoe). 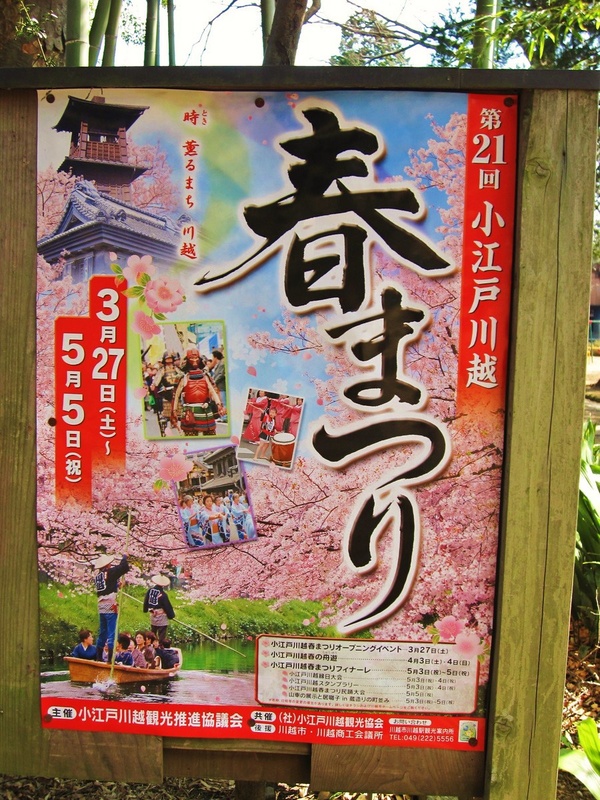 Kawagoe Spring Matsuri. From end of March to early May. 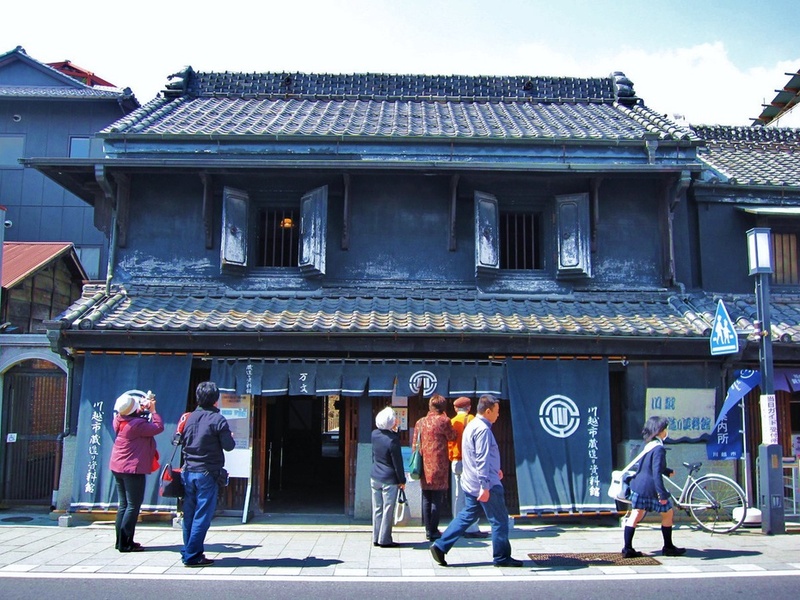 Kita-in (喜多院) is one of my favourite spots in Kawagoe. 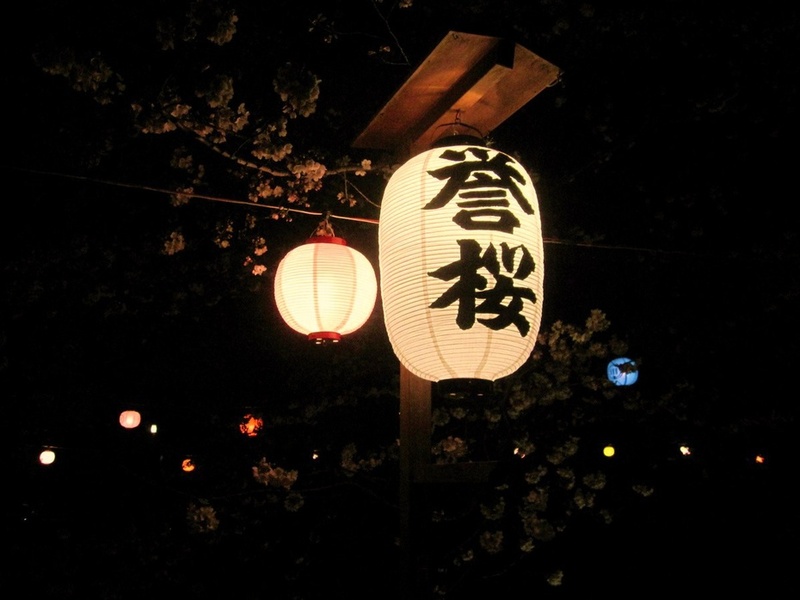 Some pics when they’re still preparing for the Spring Matsuri…. …. 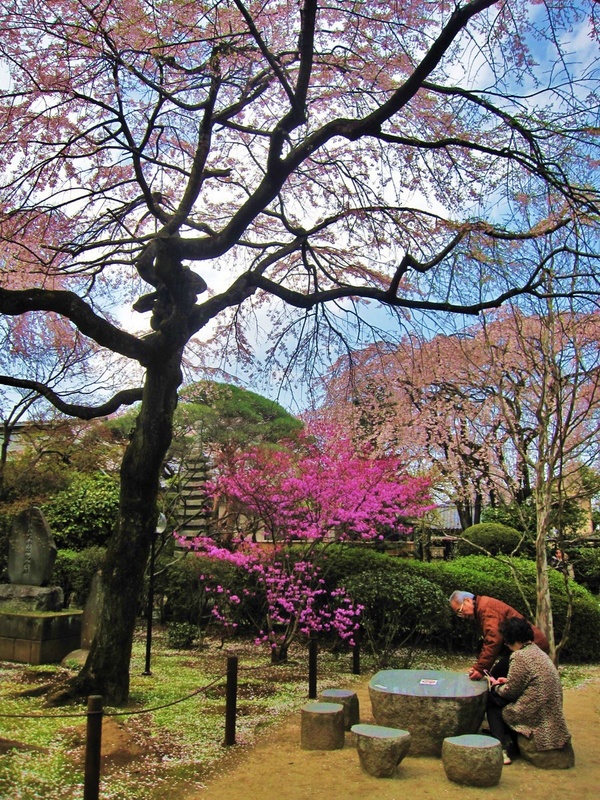 to the maximum crowd during Hanami season in early April. It’s actually quite large as it houses a few temple structures. 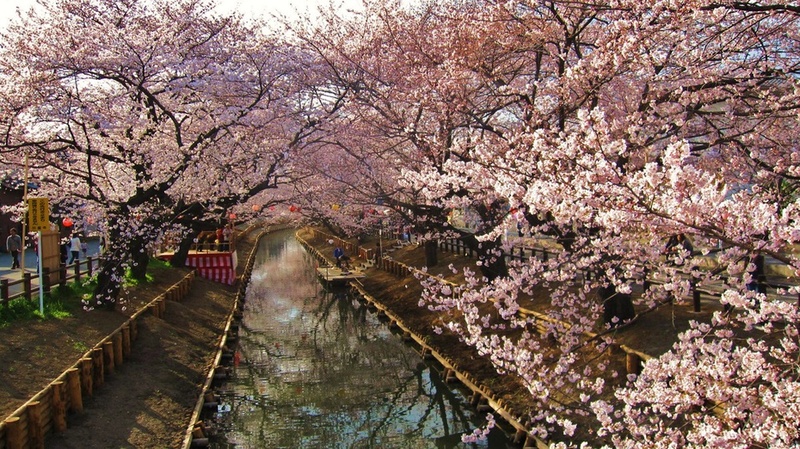 Kita-in looks best when the flowers blossom. 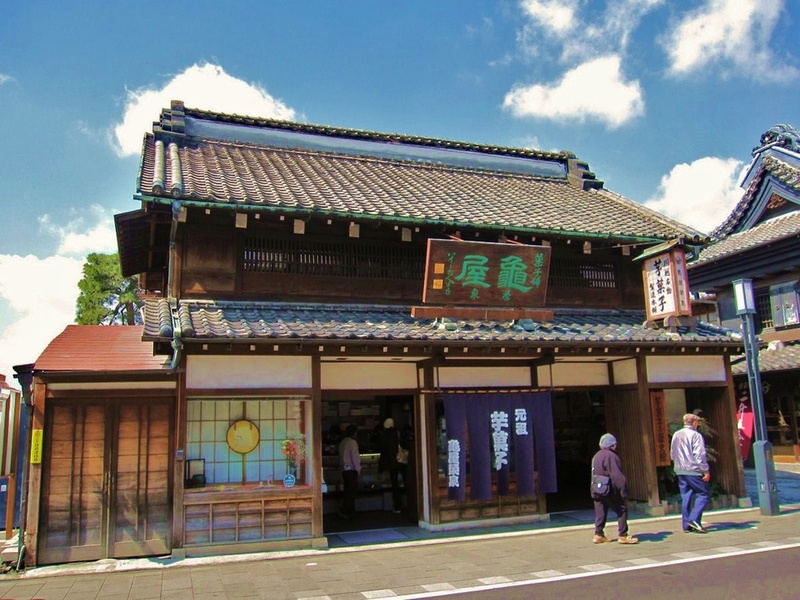 Another attraction some distance to the north is the Hikawa Shrine (氷川神社). 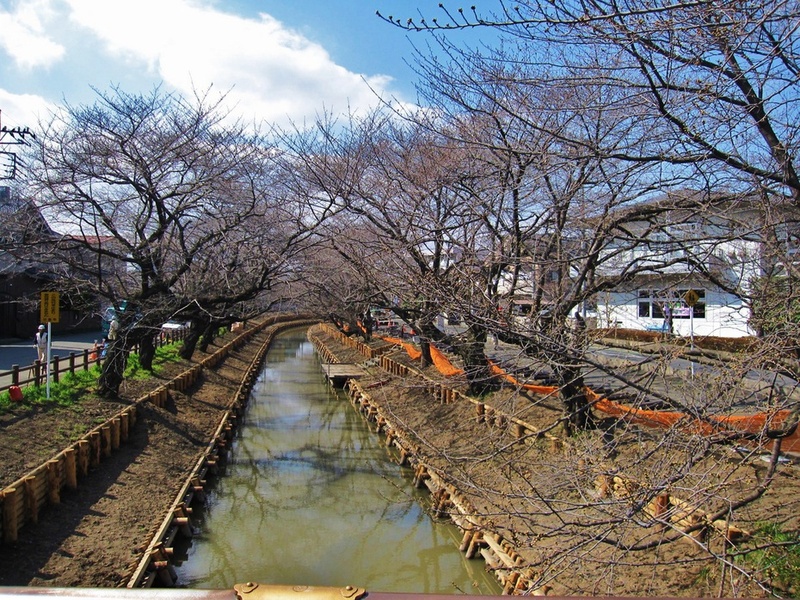 Just behind the shrine there’s the Shingashi river (新河岸川). 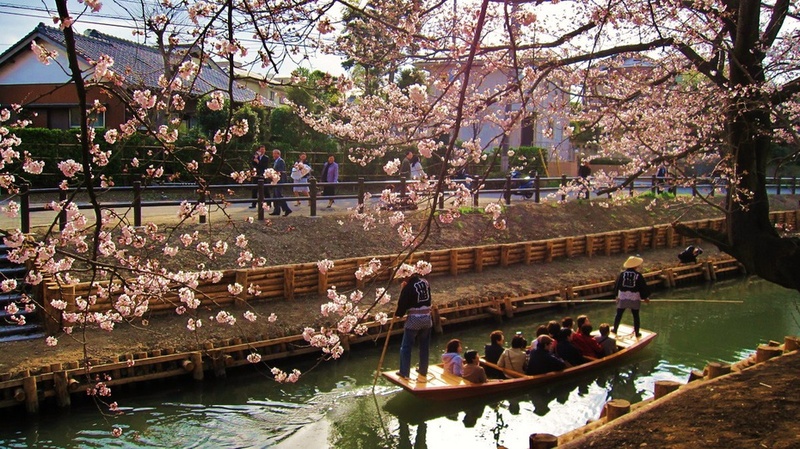 Enjoying Hanami with a boat ride on the Shingashi river. It’s free of charge for the 2 days event (held during the first weekend of April). 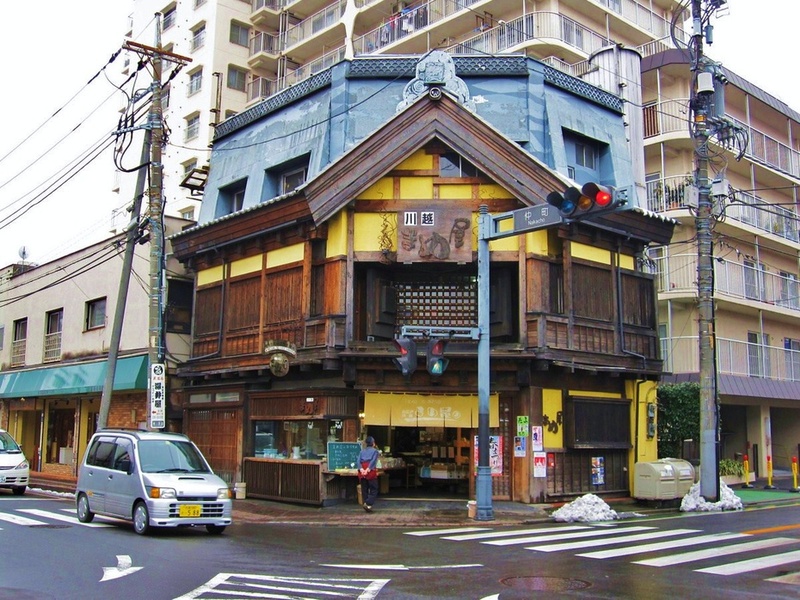 Here’s a sneak peak of Naka-in (中院), located near Kita-in as well. 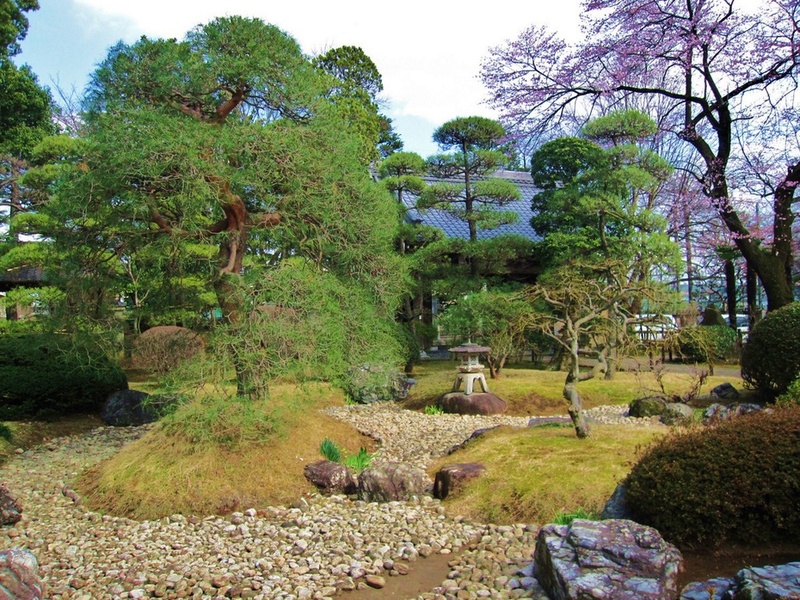 Naka-in is more like a garden rather than shrines and temples compared to Kita-in. 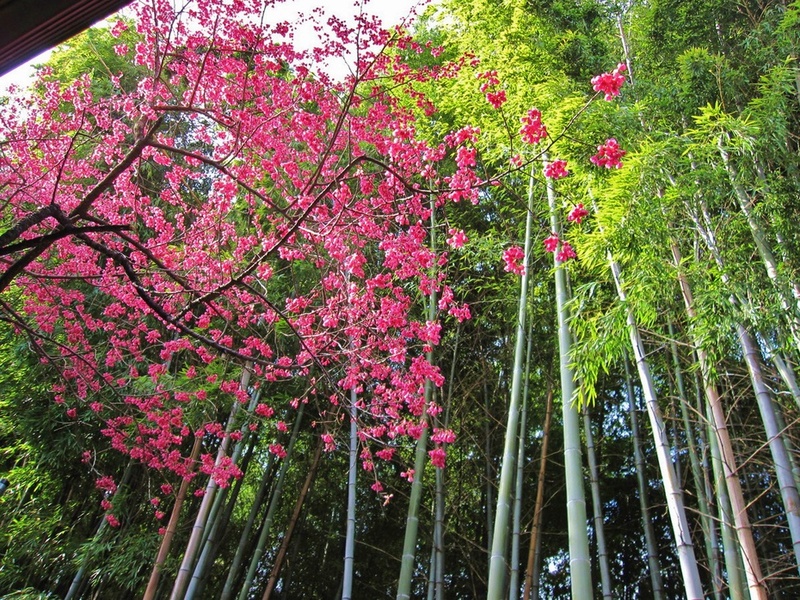 Red flowers VS Green bamboo. This is how it looks during night. 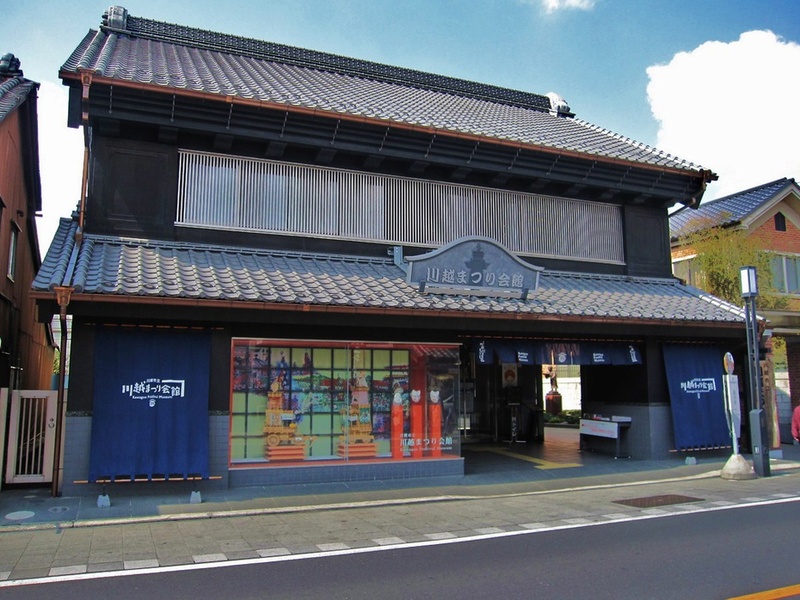 If you’re interesting visiting here, feel free to check out the Koedo official website. 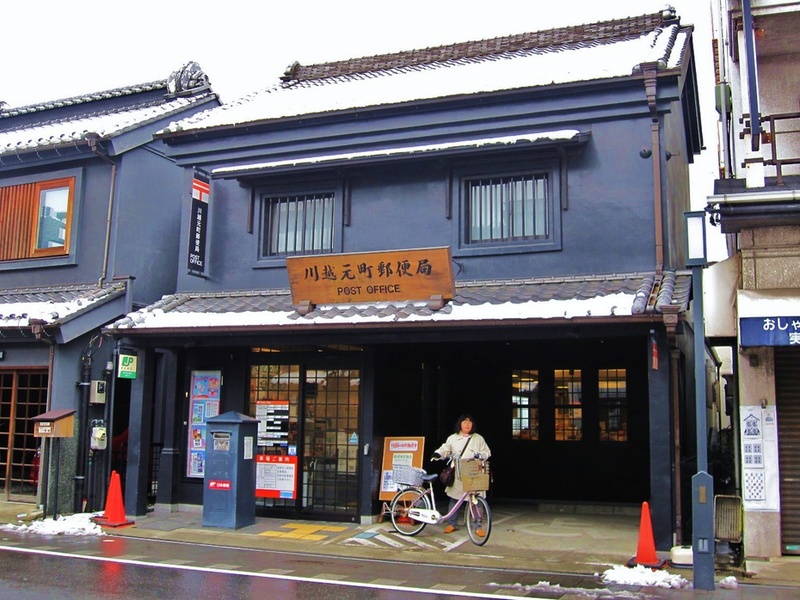 It’s 45~60 mins train ride from Tokyo’s west side, depending on which station you board and get off.